Powered by the readily available CR2 lithium camera batteries and utilising a multi coated lens system for excellent clarity, colour and contrast. The club selector allows you to set your striking distances for the 4, 6 and 8 irons and, when used at the same time as the True Golf Range function, The rangefinder will recommend the best club for you. By accurately measuring the LOS (line of sight) distance and steepness of the course you get incredibly accurate readings. You can also add in temperature and altitude as this is also a factor in striking distances. This is the only rangefinder to provide this amount of information. With the One Touch Scan Mode You can quickly acquire all your readings in one sweeping movement. 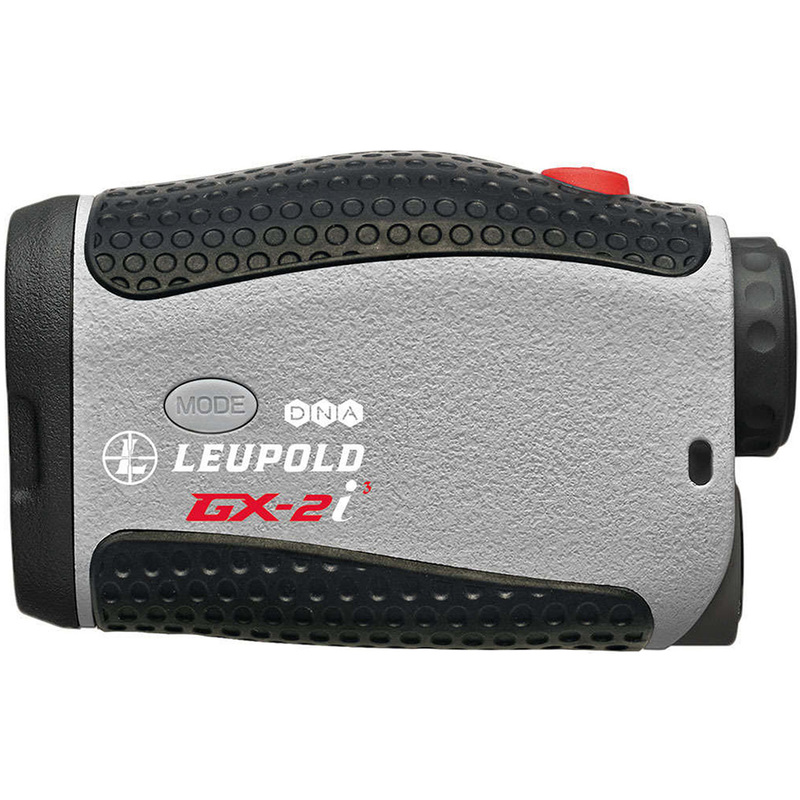 Press and hold the power button when scanning the course and your display will continuously update with accurate line-of-sight distance measurements. Linking the PinHunter technology, the prism lock allows for unparalleled flexibility nationwide and internationally on literally thousands of courses. Not only can you find any feature easily and lock in the distance, but you also get an audio feedback when you have ranged it. With Digitally Enhanced Accuracy, this pioneering tech allows Leupold to reach a whole new level of laser rangefinding precision and speed. You can accurately get quick results to a resolution of within 1/10th of a yard! The rangefinding is also accurate againts all textures and colours. 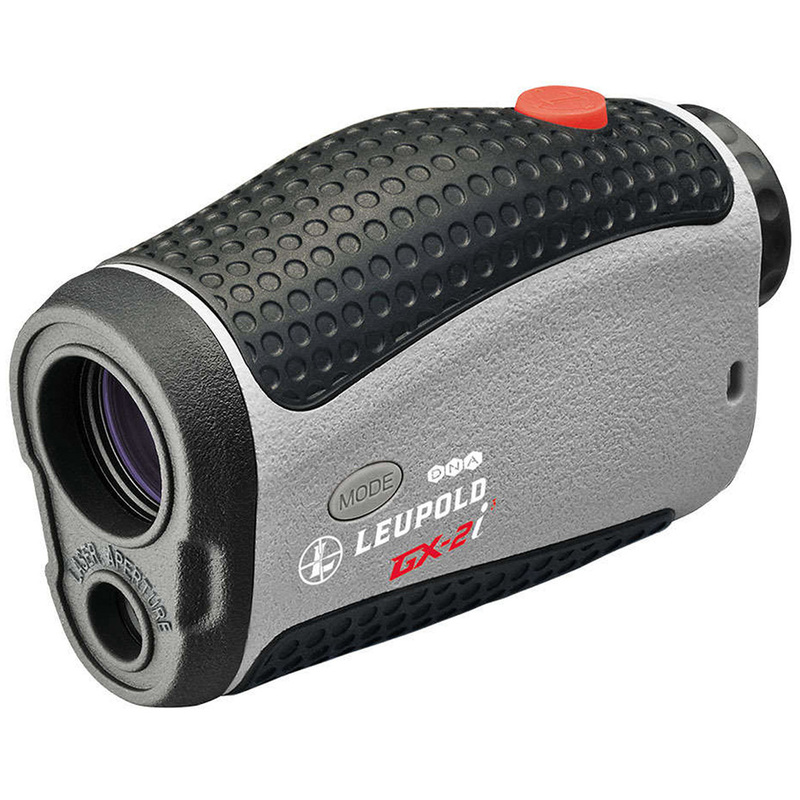 With the GX-1i3 you can now accurately find the pin instantly and clearly ranging to 350 yards with the PinHunter laser technology.